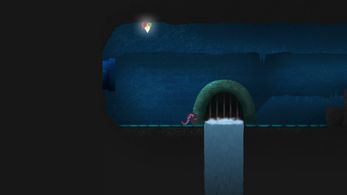 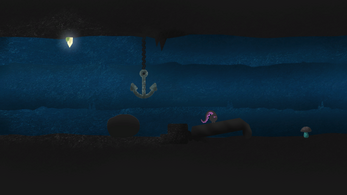 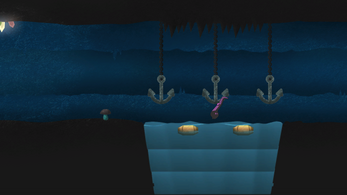 Back into the ground is an action adventure platform set in an underground landscape, including tubes, caves and strange creatures. 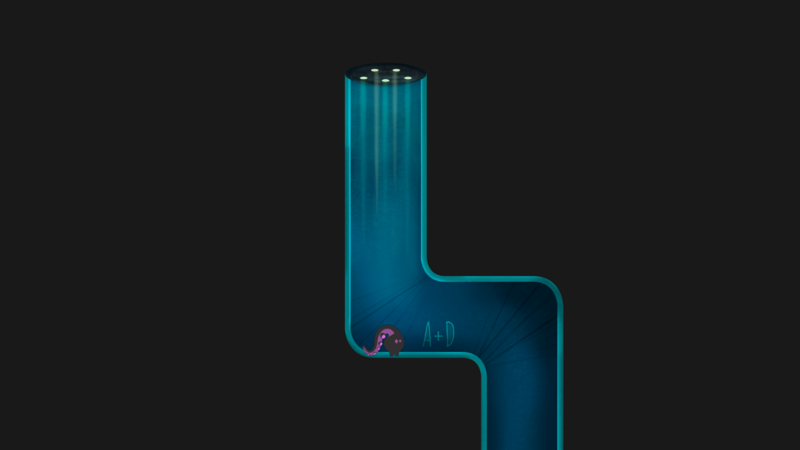 You are a small mutant "escaped" from a research laboratory, a Geecs, and you want to to return home, into the ground. 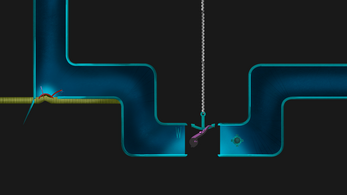 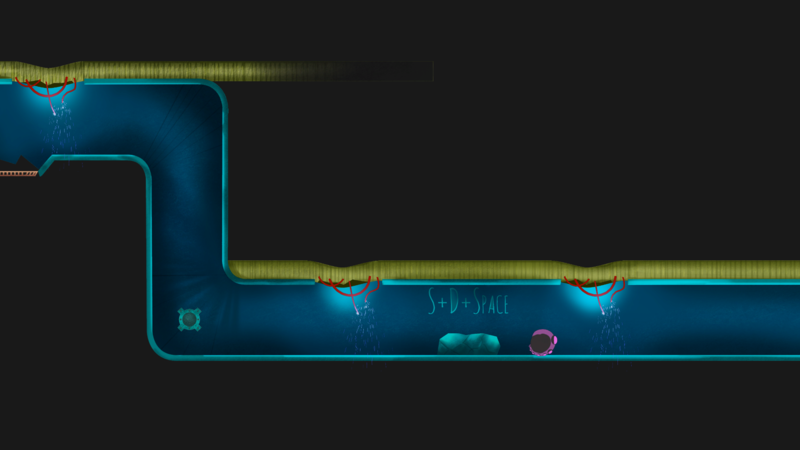 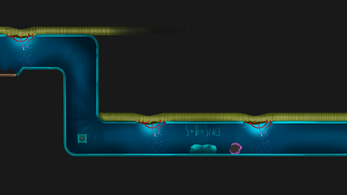 You'll have to use the powers of the mutant to overcome obstacles: change gravity on yourself and on the obstacles that you are near, and use the tentacle to hang you or remain attached to the floor and ceiling. 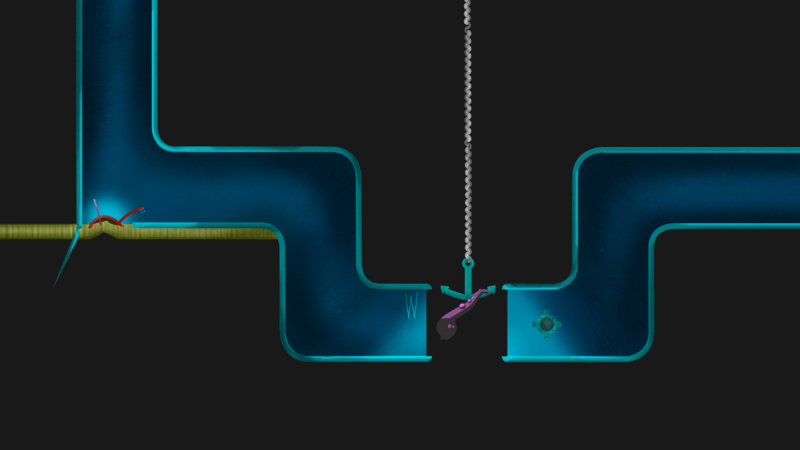 The more you play, the more obstacles will become intricate and dangerous; between bare wires, ravines and tracked robots, who have come to look for you, you will arrive at the end of the game with the desire to understand what is really your home.